A hedge fund legend mounts a comeback. On a sunny Thursday morning, Alan Howard stepped through the arched entranceway of the Federal Reserve Bank of New York’s brooding lime- and sandstone headquarters in lower Manhattan. The elusive, 5-foot-5 hedge fund dynamo, a co-founder of Brevan Howard Asset Management, strode past the bronze statue of Young Sophocles and rode the elevator to the bank’s executive offices. It was October 2016, and the lords of global capital were crowded into a tenth-floor conference room there. Tudor Investment Corp.’s Paul Tudor Jones, David Tepper of Appaloosa Management, short-seller Jim Chanos of Kynikos Associates, and JPMorgan Chase & Co.’s Mary Callahan Erdoes were among the finance world illuminati in attendance. They were key members of an elite and secretive group: the Investor Advisory Committee on Financial Markets, or IACFM, set up in 2009 amid the wreckage of the financial crisis. Then–New York Fed president William Dudley chaired the committee and was there, along with more than a dozen minions, to hear Wall Street’s insights and take note of their suggestions. Minutes from the meeting show the IACFM discussed the likelihood and timing of the Federal Reserve raising its target rate range. The committee talked about pricey stock and credit markets and parsed the impact of the Brexit vote four months earlier. Howard was in the center of the conversation — with good reason. These same issues were among those mercilessly battering Brevan Howard, the macro firm he helped launch in 2002 and built into Europe’s largest, with assets topping $40 billion in 2013. As Howard lunched with his fellow tycoons, Brevan Howard’s once-vaunted profit-making machinery was stalled. Sandbagged by quantitative easing, near-zero interest rates, and surging equity prices, the flagship Brevan Howard Master Fund had for four years been generating low-single-digit returns, if not losing money. Investors had yanked nearly three quarters of the firm’s assets, which stood at about $12 billion by the end of 2016. Soon they would tumble to little more than half that, bottoming out at $6.3 billion in 2018. For Howard it was not only about money, says one longtime hedge fund investor. Howard yearned to walk in the land of macro giants, with Louis Bacon, George Soros, and Stanley Druckenmiller. “I think every top trader wants to be viewed as an Olympic gold medalist,” says the investor. But the long-lived spell of lackluster returns has taken a toll on Howard’s reputation. “He’s not up there with the greats,” the investor says. Howard is scrambling to rebuild his fortune — and credibility — amid the drawdown. People familiar with his thinking point out that unlike other bold-faced macro traders, Howard is rebuilding a business — in some ways a more fraught process than turning around a portfolio. A lot, it turns out. Over the past two years, the firm has embarked on an ambitious turnaround plan, slashing costs, emboldening its most talented risk takers, and even changing some fee structures. The stakes are high for Howard. If he can successfully regroup, it means redemption for a storied manager, providing an undeniable exclamation point to a career stretching back more than three decades — one that for a while seemed destined for the history books. And if he can’t, he risks joining the ranks of once-legendary traders who played the markets past their prime, ending their storied careers with a whimper. The most important step in the makeover: Brevan Howard refocused money and energy on what Howard judged to be the firm’s core strength, a cadre of superstar traders with impressive track records. This elite group was given more responsibilities, pay, and in some cases their own funds to manage, a senior Brevan Howard executive told Institutional Investor in a rare interview. In early 2017 the firm started a new general macro fund managed by Alfredo Saitta, a longtime trader and veteran of JPMorgan and Citigroup, christening it the Brevan Howard AS Macro Master Fund. Saitta, who is Italian, is known for his trades in rates and currencies. Later that year the firm rolled out two funds managed by one of its co-founders, Trifon Natsis, whose last name put the “N” in “Brevan” (the firm name was formed from parts of the founders’ last names). The funds invest in Greek stocks and real estate. As for Howard, in March 2017 he started running the Brevan Howard AH Master Fund, a vehicle designed to be a personal, distilled, and riskier version of his best ideas, according to media reports. Five more funds followed in 2018. Along with new funds came a range of new fee structures. For example, instead of a typical 2 percent management fee and a 20 percent share of profits above a high-water mark, the AH Master Fund charges 0.75 percent for management and takes 30 percent of profits. Other fund management fees range from 0.75 to 2 percent, and the take of profits runs from 20 to 30 percent. In general, that puts more of the firm’s compensation at risk — and addresses investor concerns about paying onerous, recurring fees in a low-rate environment that may deliver tempered results. The makeover holds promise for future growth. “Our hope is that we would have an advantage in attracting talent,” Kawkabani says. To be sure, the firm also cut costs aggressively. Beginning in 2014 it shuttered or shelved half a dozen of what it considered to be noncore hedge funds that invested in markets like long-short equities, commodities, and emerging markets. It fired strategists and support staff. Traders left, their headcount falling from 60 to 40, according to a hedge fund industry executive. Their compensation, based on their profit-and-loss tabs, was shrinking, so the reductions became a “self-correcting mechanism,” the executive said, as traders threw in the towel. Media outlets gleefully reported how the firm had cut back on gym and kitchen facilities and otherwise reduced the footprint of its sleek Marylebone office — in a building that was once the site of the headquarters for Marks & Spencer Group, the famous English retailer. Brevan Howard had company, at least. Global macro hedge funds lost money on average in three of the past six years, according to Hedge Fund Research, including a 3.6 percent deficit in 2018. Though it’s unfair to compare, investors are well aware that an investment in the S&P 500 would have roughly doubled their money over that six-year span. In 2018, outflows from the macro category were $12.3 billion, from a total of $596.7 billion, according to HFR. All told, since the financial crisis, investors have withdrawn more than $31 billion from the category. As such, Brevan Howard’s makeover is being eagerly watched by other macro managers and traders, who in the hedge fund sweepstakes have lately ranked as among the sorriest of the sorry. So far it looks like beleaguered Brevan Howard just might be back on track. The Brevan Howard AH Master Fund rose 30 percent in 2018, according to one media report. (The firm declined to comment on the results.) And the flagship Master Fund, which has 20 traders and to which Howard’s fund contributes a relatively small amount, rose 14.2 percent for the year, according to documents. The sell-off in stocks late last year — essentially a lightning-quick bear market — points to increased and more severe price swings in the future, the octane that fuels macro trading in general, and Howard’s too. That said, Howard’s fund dropped 8.5 percent in the first two months of 2019, Bloomberg reported, citing a person with knowledge of the matter. Alan Eldad Howard was fascinated by numbers from an early age. Born in 1963 in London, Howard attended the Hasmonean High School for Boys, where he excelled in physics. He graduated with first honors and a master’s degree in chemical engineering from Imperial College London in 1986. He joined trading powerhouse Salomon Brothers, immortalized in Michael Lewis’s rollicking exposé of traders’ lives, Liar’s Poker. Howard was assigned to the Eurobond desk and stood out for his ability to recall hundreds of positions held by customers. His work ethic was soon legendary. For example, he’d sift through reams of paper tracking bond spreads from which to devise trading strategies. On the desk he built relationships with the great macro investors of the day — Tudor’s Jones, Moore Capital Management’s Bacon, and George Soros himself. And Howard seemed to have a nose for avoiding trouble — or profiting from it. During the bond market rout of 1994, the Fed raised the target rate six times, to 5.5 percent from 3 percent. Howard was short bonds at the time. In 1995 he jumped to the London securities arm of Tokai Bank to head interest rate trading in Europe. Two years later he joined Credit Suisse First Boston, the investment banking arm of Credit Suisse Group, first as a trader and then as head of proprietary trading for fixed income in Europe. Soon his team was minting millions. In 1998 the team sidestepped losses again amid the meltdown of Long-Term Capital Management, exiting positions that were similar to those of the doomed hedge fund and piling into safe U.S. Treasuries. Three years later, Howard and his team had generated profits of $500 million for CSFB — but the bonuses they earned made them likely targets for then-CEO John Mack, dubbed “Mack the Knife” by wags for his bonus- and staff-cutting propensities. It was time for Howard and his team to strike out on their own. In 2002 they left CSFB to start Brevan Howard. Joining him were fellow traders Jean-Philippe Blochet, Christopher Rokos, James Vernon, and Trifon Natsis. From the start, Brevan Howard was known for obsessive risk controls, with chief risk officer Aron Landy — a Ph.D.-toting engineer from Cambridge University whom Howard knew from Tokai — constantly admonishing traders to trim or hedge positions deemed unwise or excessive. No exceptions — even for Howard himself. The firm uses redundant power systems and multiple prime brokers. It keeps its cash not with investment banks, as is typical, but in T-bills parked at custodial banks like Bank of New York Mellon. Howard’s risk aversion came into play in the run-up to the financial crisis. In early 2007 he suspected the mortgage problems would spread, undermining banks’ willingness to finance leverage at hedge funds. So the firm sharply scaled back the leverage in its bond holdings. It halved its holdings of credit default swaps, reducing counterparty exposure, and cut its total bond portfolio to $10 billion from $50 billion. The defensive stance paid off big-time, cementing Brevan’s macro bona fides. The Master Fund ended 2008 with a striking gain of 20.4 percent, versus a 19 percent loss for the average hedge fund, according to HFR, underscoring Howard’s reputation as an undisputed master of risk. The Master Fund’s return was 14.4 percent annualized from its April 2003 inception through the end of 2008. Firmwide assets swelled to $27.4 billion in seven funds. It was a gilded moment for Howard and his band of mostly young macro moneymakers, each with a distinctive brand of investing. They were the elite of their profession, looked up to by aspiring traders everywhere. Typically, like Howard, they sought out asymmetric trades where a small amount of at-risk capital could generate big returns. Traders were given extraordinary range to wager within their risk limitations, making Brevan a proving ground for eager talent. They kept a big chunk of what they earned and worked in far-flung offices in London, New York, Hong Kong, Geneva, and the firm’s headquarters in Jersey — wherever they wanted, based on Howard’s belief that the right geographic location can have a big impact on traders’ success. Generally, macro traders make long-term bets on economic changes and the policy responses that accompany them. At Brevan Howard, analysts say, these are structured as option-style trades with big payoffs if a predicted event occurs — a rate cut or increase, for example. Structuring large trades like these, which take months or longer to play out, can be expensive because of borrowing and other costs, amounting to 6 to 8 percent per year before any profits are generated, according to Christopher Brown, an analyst at J.P. Morgan Cazenove in London. Other wagers at Brevan Howard are short-term, based on yield curves, spreads, and other temporary mispricings — so-called relative-value trades that produce smaller but steadier payouts for the firm. The problem for Brevan Howard, beginning in 2012 or so, was that in the era of quantitative easing, there weren’t sufficient big, volatility-generating macroeconomic developments on which the firm could intelligently wager and turn a profit. “That period was challenging for macro managers due to persistently low vol[atility] and low rates that were largely as predicted,” says analyst Brown. It’s also fair to point out that some of the most important global developments, such as Brexit and Donald Trump’s election, could reasonably be described as unforeseeable, ergo untradable. Accordingly, while Brevan Howard was making money on the short-term, relative-value trades, those gains were effectively offset by the costs of the longer-term wagers. Returns were muted but by no means disastrous. “Even when they were wrong, they really didn’t lose much money,” says analyst Charles Cade of Numis Securities. But in spite of just so-so, not terrible, performance, investors pulled their cash — and assets plummeted. The seeds of that dynamic were likely planted with Brevan Howard’s success in the financial crisis, investors say. Risk-averse, stock-shy investors piled into the firm’s funds, often at the direction of consultants, bringing with them naive notions of macro investing. Some star macro firms like Tudor and Moore, for example, are known as “go anywhere” vehicles that successfully plunge into whatever markets or trades seem profitable — oil, commodities, even stocks. Equities, however, were seldom a big profit generator for Brevan Howard. But as the S&P 500 more than doubled from its 2009 nadir, increasingly fickle investors wondered why the firm wasn’t participating in the rally. They began to bail. Brevan Howard’s asset drawdown was buffered by its two publicly traded closed-end funds, BH Macro and BH Global, which nevertheless had to tender for their own shares to buck up prices and reduce discounts. Another factor may have been at work. It is a truism that capacity is not an issue for macro funds given the scale and depth of the foreign exchange and sovereign debt markets in which they play. That isn’t necessarily the case at a firm like Brevan Howard. When constructing its often labyrinthine trades, the firm frequently employs relatively less liquid instruments, such as derivatives and out-of-the-money puts and calls, which are often used to hedge positions to reduce risk. And Brevan Howard’s insistence on hedging means the firm’s appetite for these sometimes hard-to-trade instruments is formidable. Brevan Howard could have adopted radical strategies to cope with macro’s general lethargy. But it would have gone against the firm’s DNA. Outsiders are focusing on the funds Brevan Howard has been introducing. Howard’s fund had a standout year, apparently on the back of wagers on the May 2018 elections in Italy that brought to power the populist Five Star Movement and League parties, spooking sovereign debt holders. “They benefited from the sell-off in Italian bonds,” says analyst Cade. In addition to those managed by Howard, Natsis, and Saitta, the firm has rolled out five other funds. The Brevan Howard Global Volatility Master Fund, managed by Ville Helske, was launched in February 2018 and seeks to take advantage of price swings in a variety of asset classes. Last May the firm kicked off the Brevan Howard MB Macro Master Fund, managed by Minal Bathwal, who joined the firm in 2008. It invests in Asia and other emerging markets using a combination of macro and relative-value strategies. Bathwal has never had a money-losing year. Rishi Shah, formerly of Royal Bank of Scotland Group, joined the firm in 2010 and started running the Brevan Howard U.S. Rates Opportunities Master Fund last August. Focused on the U.S., it trades bonds and other rates-based instruments on both a macro and a relative-value basis. A group of managers and analysts is overseeing the Brevan Howard Alpha Strategies Master Fund, which started in September. Again, it uses a combination of traditional macro and relative-value strategies. And in October, Fash Golchin, a Geneva-based interest rate trader who in 2011 joined the firm from Citigroup, began managing the Brevan Howard FG Macro Master Fund, a pure macro strategy vehicle. The new offerings are in addition to Brevan Howard’s seasoned Master Fund, Asia Master Fund, and Multi-Strategy Fund. Despite the new fund initiatives, the firm operates with a greatly reduced footprint. And it is monetizing what was its spare back-office capacity, built up by the firm when its assets were far greater. Brevan Howard last year spun off the service as a separate business, dubbed Coremont, and it is being used by rival hedge funds, family offices, and financial institutions. “It is designed to play on our back-office technology and resources,” notes Kawkabani. In a similar vein, Brevan Howard is also marketing some of its battle-tested risk and analytics software, again monetizing investments it made when it had the abundant revenue stream to support them. As for its bread-and-butter macro funds, the firm, like its peers, stands to benefit from a return to a more normal rate environment — the Fed has raised its target rate eight times since the October 2016 committee meeting, and the upper limit stands at 2.5 percent. 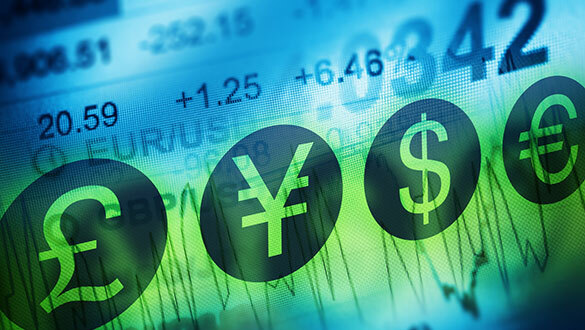 “It should be a better environment for interest rate and forex trading,” says analyst Cade.